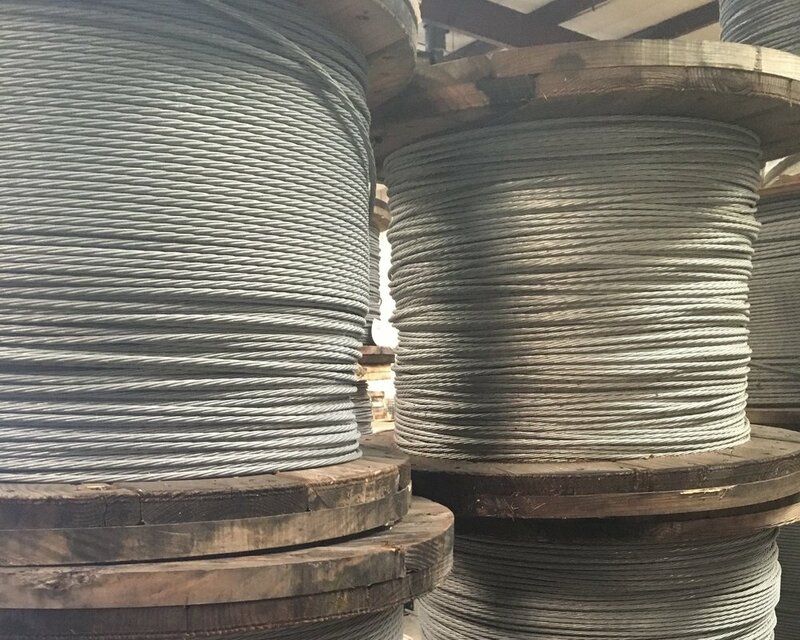 We carry a huge selection of new and used wire rope in Galvanized, Bright (grease coating) and Stainless Steel. 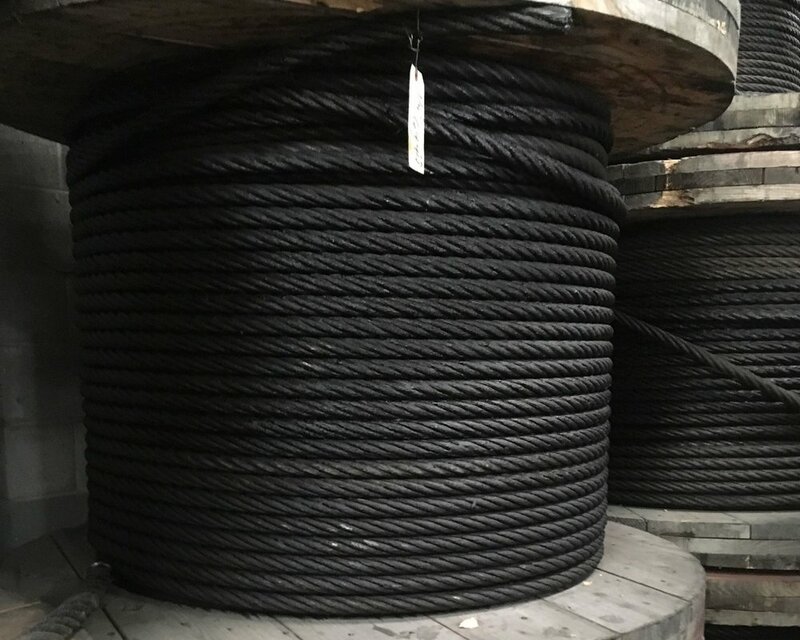 From 1x7 strand to 19x19 spin resistant wire rope construction, we supply it all. 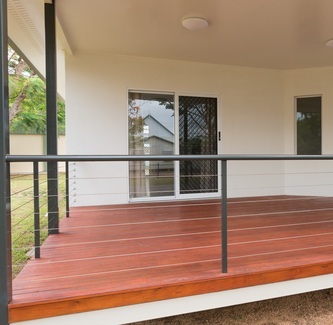 Call for price, availability & load specs. What’s the difference between wire rope, strand, cable and wire? When it comes to the construction of wire rope; the most basic is wire, then strand, then wire rope. 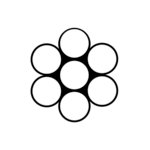 For example, 7 or 19 single wires make up a 1x7 or a 1x19 strand. Those are wound and combined to create a wire rope. Typical wire rope configurations commonly include 7x7, 7x19, 6x19 or 6x26. 6x19 and 6x26 wire rope construction has either a wire rope core or a fiber core. 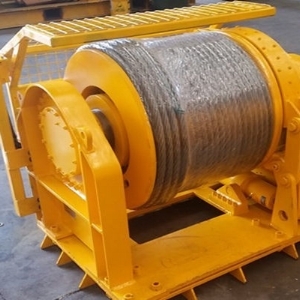 The wire rope core is its own wire rope construction, most commonly 7x7. 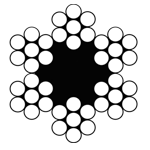 This is known as IWRC (Interdependent Wire Rope Core) meaning it moves independent to the outer strands. Mostly used in winch type applications. 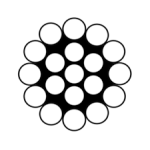 7x7 or 7x19 is known as aircraft cable and is used in more static applications. Some of these are fencing, zip lines, anchor points and perimeter cable. Have a question or two? Contact us! Download our catalog pdf for a complete list of all products and accessories. We offer a variety of used wire rope cable from 5/16 up to 1-5/8". Used wire rope works great in those situations where the quality and strength of wire rope is needed, but brand new isn’t, like cattle ranch fencing, trough lines, cable fencing, feed lots and more. Our used wire rope cable carries a Grade A Rating, with no broken wires. We guarantee its quality. Call for sizes, availability and price. question about Used Wire Rope? Call or Click Here!